The reception is where the party really starts and if you want to make sure guests have a ball and are blown away by everything from the decor to the entertainment, check out 10 ways to impress below! We’re a big fan of table names. They’re one of the cheapest and easiest ways to personalise your day and can range from childhood pics of you both to your favourite songs or bands. 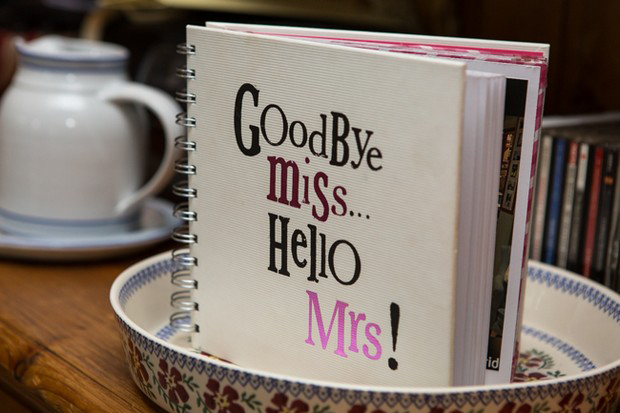 They’re also a great way to give guests a bit of an insight in to you and your partner’s relationship and likes as well as getting people chatting. Check out some ways to get creative here! 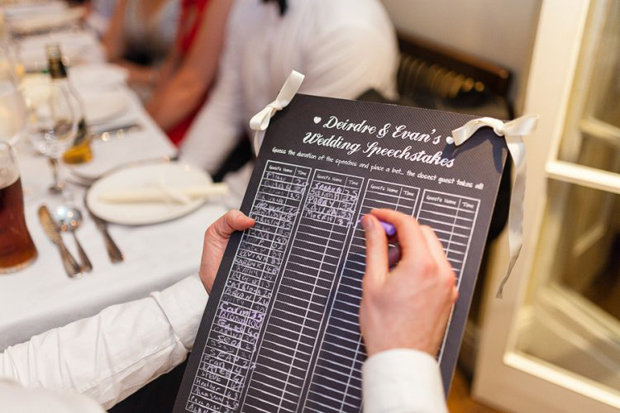 The speeches are a big part of a lot of wedding receptions and guests love to get in on the action with a few bets. So make it easy for them to have the craic with some speech sweepstake kits! 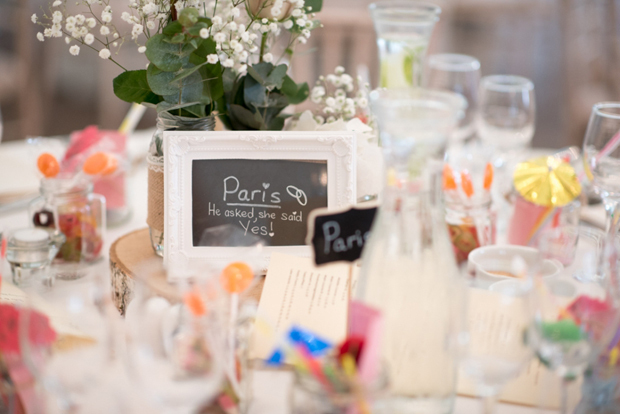 Or if you’re not doing speeches, another great way to get guests chatting is by leaving some props in the middle of the tables as a bit of a centrepiece so they can pose for pics. 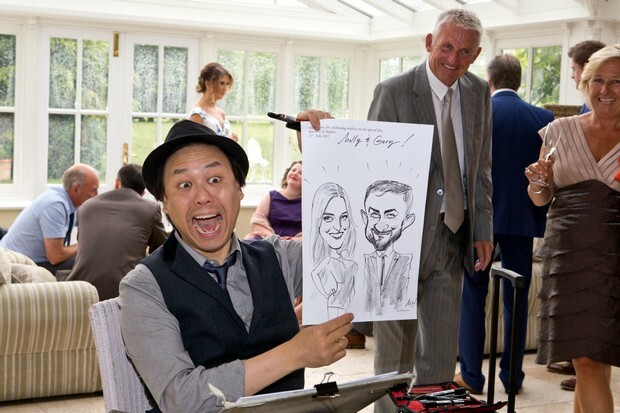 Wedding entertainment has really taken off these past few years with everything from singing chefs, comedians, magicians and Irish dancers putting on an awesome show for guests. Games are also really popular from Giant Jenga to Connect 4 and Crazy Golf. Your guests will have a ball trying them out plus it’s a nice surprise for them too! 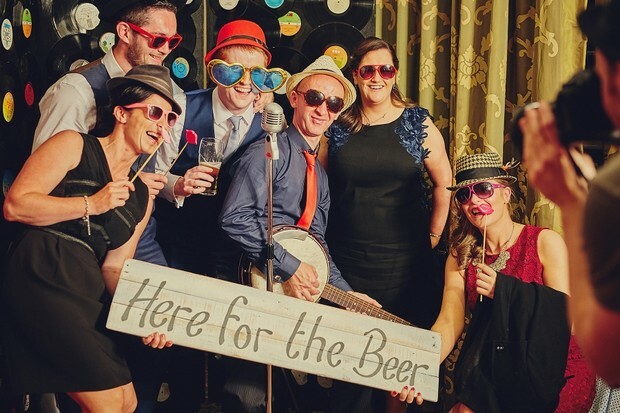 This has become a bit of staple at weddings these past few years as couples look to capture some great memories and keep their guests entertained. 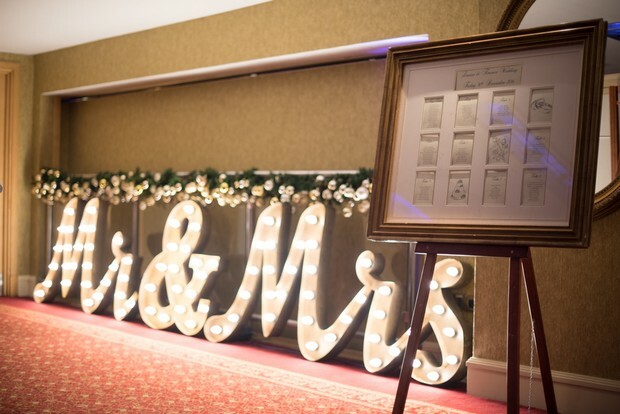 Plus, if you’re after a fun favour idea, a photobooth or selfie mirror is the perfect solution! This genius idea is always well received! 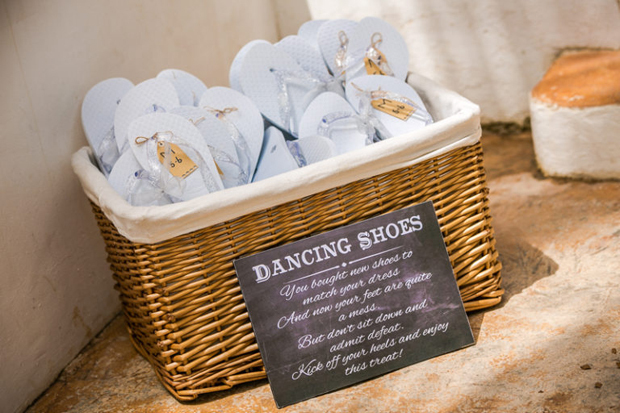 Weddings are great fun but if you’re wearing heels for the guts of 8 hours, you’ll be only delighted to clap your eyes on a basket of flats or flip flops to see you through the dancing. It goes without saying your guests will be snapping away so if you want to make sure a). you get a copy of their pics and b.) 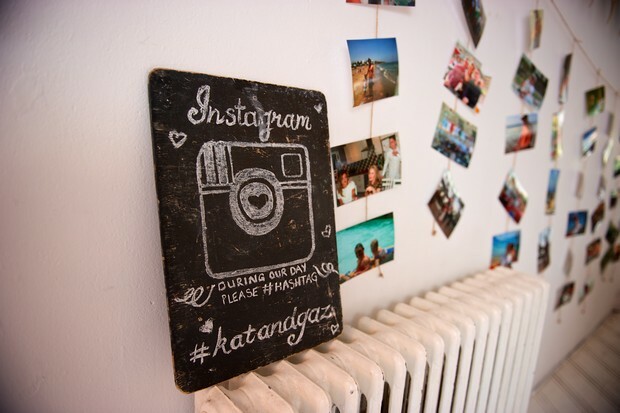 you get them involved, create your own wedding hashtag so everyone can get tagging. There’s nothing like a few jellies even after a four course meal! 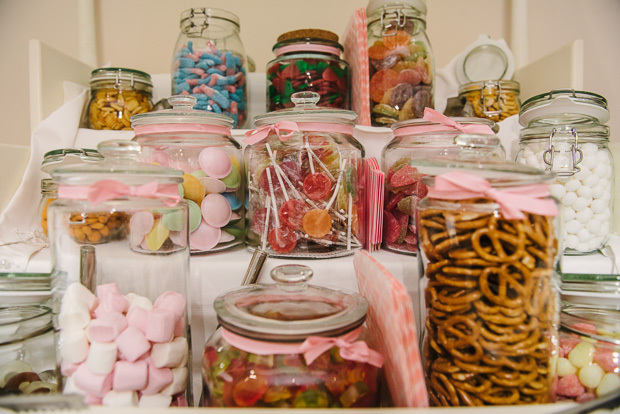 The candy buffet is so popular and like a photo booth, is a great favour alternative – pool your cash and ensure guests enjoy a sugar fix later in the evening! Candy Buffet suppliers include Carolyn’s Sweets, Magic Moment Candy Cart, Party Food 4U, Starlight Weddings & Events and Enchanting Events. 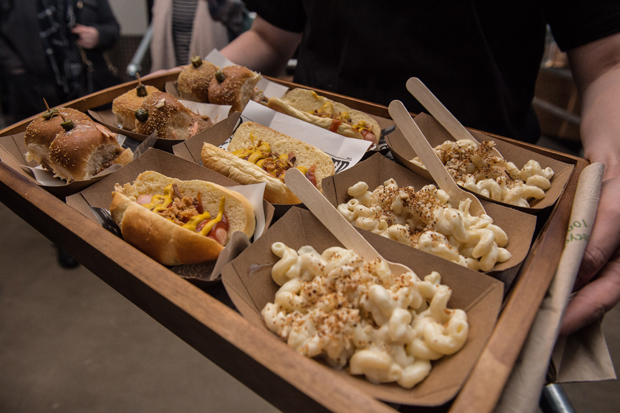 If you’re looking to go all out when it comes to your late night eats, there’s lots of tasty midnight snacks to choose from such as food trucks pulling up doling out everything from chips, burgers and tasty tacos (be sure to check out the seriously delicious food trucks The Chip Van and The Airstream), to the humble crisp sambo station. Take a look at some ideas to steal here! Make sure the dance floor is the place to be with everything from a dazzling LED dance floor to fun props and song request cards so guests can give it socks to their faves! 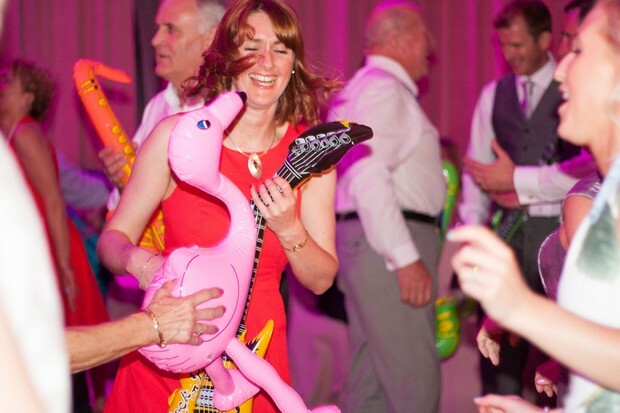 Check out 13 ways to make sure the dance floor is packed at your wedding here.